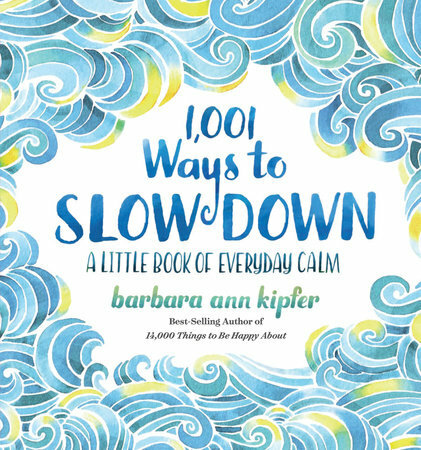 This beautifully illustrated volume does just what the title promises, offering 1,001 ways to slow down. 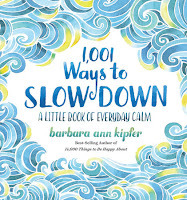 In her introduction, Kipfer writes about "living at the speed that brings you the most joy and satisfaction", which resonated deeply with me. I'm not a slow person by nature, but I could use with more reminders to be attentive to the moment. 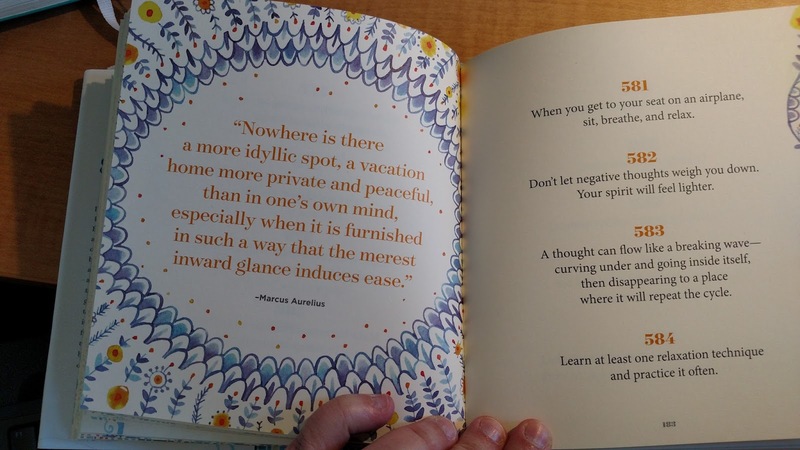 Designed to be cracked open when needed, rather than read through in a sitting, this book is like a zen friend who offers those reminders without judgment. The tips range from the easy -- Slow down and enjoy eating. -- to the more complicated -- Consider a move to a smaller house. -- so every suggestion may not be right for each reader. But even those that really weren't or won't be applicable to me -- Chop your own wood. -- still offered me a moment of pause -- and really, isn't that what it's about? 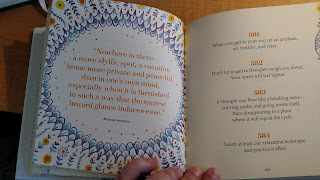 I am particularly taken with the illustrations of this book: each page is detailed with a gorgeous border, soft and appealing, with quotes illuminated in pretty repeating patterns. This sounds great! I think I could use a copy and also give it as a gift. I agree, I'd like to find a copy. How did you discover it? TLC Book Tours invited me to review it -- I'm so glad they did because it's been such a lovely find!